Dr Catherine McMahon is the Head of Audiology at Macquarie University and the Vice President of Audiology Australia, the peak professional body for audiologists. Catherine is a member and project leader of the Centre for Language Sciences (a Centre Of Research Excellence) and a project leader within the HEARing CRC. Catherine was awarded Young Professional of the Year (2008) by Professions Australia for her work with the professional body. Her research is conducted in conjunction with the Sydney Cochlear Implant Centre, National Acoustics Laboratory and Centre for Vision Research. 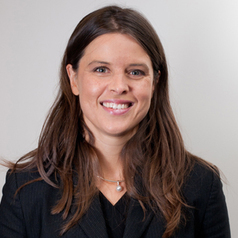 Her research areas include the following: developing more appropriate methods of diagnosis of complex auditory disorders such as auditory neuropathy and tinnitus and the development of targeted management techniques; assessing functional outcomes after cochlear implantation; hearing health policy; and remote delivery of professional education. Her expertise is in the area of evoked potentials and she is also a key researcher in the development of the novel MEG system for cochlear implants in conjunction with the Kanazawa Institute of Technology, Cochlear Ltd and CSIRO.